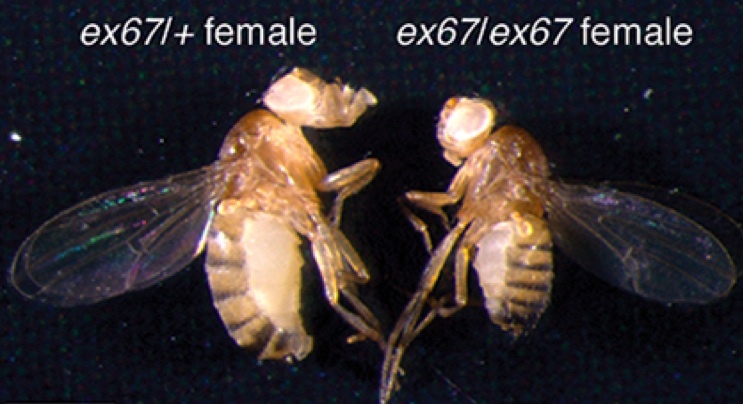 Nutrients promote body growth in Drosophila by stimulating insulin signaling. One main way that this happens involves endocrine signaling between the fat body and the brain – in protein rich diets, amino acid import into fat body cells activates TOR and leads to release of a secreted factor(s) that acts on the brain to stimulate expression and release of insulin-like peptides (ILPs) from neurosecretory cells. However, the nature of the these AA-sensitive fat body factors has remained elusive. In this paper, the authors identify the Growth Blocking Peptides 1 and 2 (GBP1 and 2) as strong candidates. They show that expression of GBP1 and 2 is regulated by AA/TOR signaling and that both GBP1 and 2 are secreted from the fat body and can act directly on the brain to promote ILP release. We liked this paper a lot. In particular we appreciated the rigorous and comprehensive approach the authors used to establish that both GBP1 and 2 are bona fide fat-body derived factors that respond to TOR signaling and that act directly on the brain to promote insulin release.